CPD Officer Wadell Hardy talks about the rescue of a man who fell into Lake Michigan near Oak Street Beach. CHICAGO (WLS) -- A 21-year veteran Chicago Police officer performed a daring rescue on Lake Michigan after a man fell in the water near Oak Street Beach. A witness alerted a police officer on patrol that a 58-year-old man was in trouble. The officer walked out onto the ice and held the victim's hand to keep him above the icy water until rescue workers arrived. 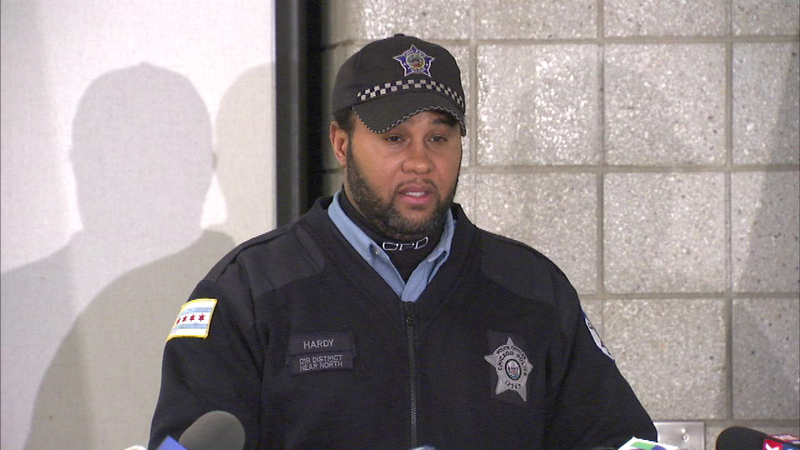 "He was actually trying to walk up the side of the ice," said Officer Wadell Hardy, Chicago Police Department. "He couldn't get a grip, and I couldn't pull him any further without us both going in, so I just held him above the water." The victim went to Northwestern Memorial Hospital where he was treated for hypothermia and is expected to be okay.